Matthew Morgan has pledged his future to Bristol and is keen on playing some part in the autumn internationals for Wales. Morgan made his Wales debut on their summer tour of South Africa and was signed by Bristol in advance of the 2014-15 season. At that time it looked like Bristol were going to secure promotion to the Aviva Premiership but they lost their play-off final against London Welsh and will have another season in the Championship. When they failed to realise promotion, there were fears that some of their big name signings may pull out of their deal but the likes of Dwayne Peel, Ryan Jones and Anthony Perenise have since reiterated their desire to play for Bristol and Morgan has followed suit. "I'm staying with Bristol," Morgan told the South Wales Evening Post. "There was some talk of interest from back home, but I had signed in February or March, so it was never going to come to anything. I like it here, anyway. "Sean Holley has been as good as gold and there's a decent bunch of boys at the club. Hopefully, I can help them win promotion to the Aviva Premiership next season." 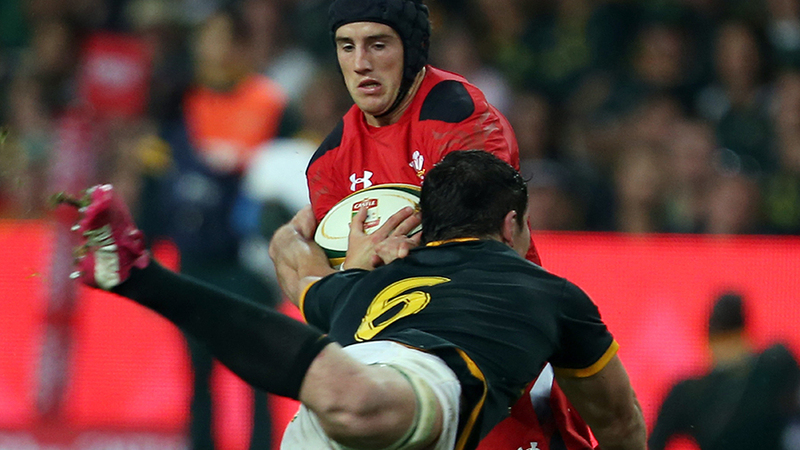 And Morgan is hopeful of keeping his place in the Wales squad ahead of the November Tests. He added: "I hope to play 10 and 15 for Bristol and build on Wales's summer tour. It would be great to make the squad for the autumn internationals."